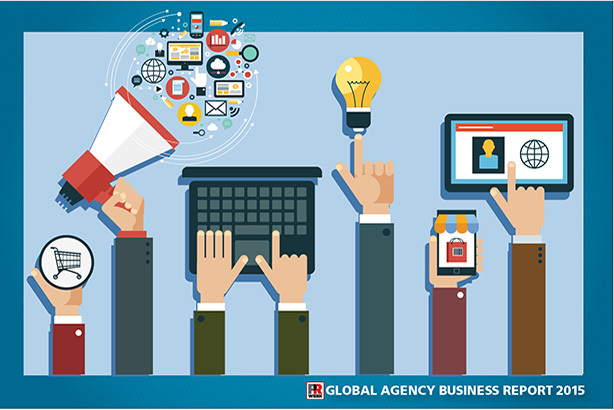 Integration, convergence, and the ramping up in importance of digital and social media are the key overarching themes of this year’s Agency Business Report, in every regional market and every practice discipline area. It is having a fundamental impact on the nature of the modern PR firm and causing agency leaders to reconsider their exact role, the way they are structured, and the type of talent they are recruiting and trying desperately to retain. Richard Edelman, president and CEO of Edelman, defines the largest PR firm in the world thus: "It’s a Venn diagram where the overlaps of the four [media, PR, social media, advertising] are becoming more present. It used to be distinct valleys and now the roads are crossing. We’re going to try to have stronger creative, stronger planning, and look at problems differently." The wheel is also turning the other way, as evidenced by the PRWeek Awards this year, which saw advertising agencies such as Interpublic Group’s Mullen winning high-profile awards for their PR work, and then there are ad shops such as Omnicom’s BBDO "integrating forward," as Edelman puts it. Ad agency Mullen was honored at the PRWeek Awards for its World's Toughest Job campaign with American Greetings. But most agency leaders still believe PR has a unique mentality and heritage to bring to the modern content marketing mix, one their sister agencies in other parts of holding companies struggle to emulate. And they don’t particularly see the need to rebrand as something other than PR. "We’re proud of our heritage as a PR firm," says Andy Polansky, CEO of Weber Shandwick, PRWeek’s Agency of the Year. "Some advertising firms, like Mullen, have a very strong PR capability - others do it around the edges. The key is to develop depth and have a credible, strong offering. PR has never been held in higher regard by the C-suite, and there’s a lot more dimension to our business now. We’ve emerged as leaders in content marketing and social." He believes the sweet spot for PR agencies is the ability to engage multiple constituencies across different platforms and stakeholder groups. But he’s hiring top creative talent from digital and advertising firms to bolster the traditional PR offer, and Weber still partners closely with IPG sister firms like McCann on campaigns such as the US Army account. "Everybody recognizes the swim lanes are blurrier, firms across different marketing disciplines have a lot of different strengths and creative chops, and the best ideas emerge, but we’re comfortable with a go-to-market positioning around being a PR firm," he says. "We’re just reimagining what being a PR firm means in this dynamic environment." At IPG sister PR firm Golin, CEO Fred Cook is not so sure about the definition issue. "It’s getting harder to define what a PR agency is," he says. "When we switched to the g4 model we had a lot of discussion about whether we’d call ourselves a PR agency anymore, but our philosophy was we’d rather reinvent PR than build a new category." However, the transformation to g4, which grouped teams around four skill-based categories and put content, creativity, data, and analytics at the center of the firm’s offer, was almost four years ago and today Cook is not so sure. "We’re competing with different types of agencies in different categories," he explains. "You can call yourself anything you want, but it is how your clients define you. Our clients still define us as a PR agency, but a PR agency that does a lot more than before." Golin is executing advertising and digital campaigns, and its creative is often at the center of what clients are doing with all their agencies, so its world has evolved enormously. "We don’t want to be an ad agency, and digital agencies have very limited scope," ponders Cook. "I’m just not sure what to call it." For FleishmanHillard CEO Dave Senay, the principles of PR have never changed. He cites Edward Bernays’ definition of PR as informing, persuading, and connecting people with people. "That sounds like a perfect definition of the Internet," he points out. "PR is no different than it’s ever been. If you take the two schools of PR, the behaviorist or socially responsible or conscious side, they are converging like never before. The wind is completely blowing into our strengths." Senay believes modern marketing communications is all about how and why people behave the way they do, which requires an understanding of their culture, media consumption habits, and the global push toward shared value. "The intersection of social and business goals has never been a sweeter spot for public relations: capital P, capital R," he affirms. "We will never stray from that, but PR can be more channel agnostic now, which is why mastering paid channels is so important." He cites work the Omnicom agency did with the League of Young Voters in Europe to combat apathy about voting. Fleishman’s creative insight was to show that something isn’t recognized as important until it’s not there anymore, so it created a fictional Alliance for Responsible Democracy that aimed to increase the voting age from 18 to 25. Using paid, earned, shared, and owned media, the agency successfully sought to induce a reaction from young voters about their rights being taken away and subsequently engaged them in the run-up to the European elections. Fleishman’s execution was primarily digital focused and Richard Edelman notes the role digital firms play in the new marketing mix, offering a compelling blend of social and digital. But he contends PR is also in pole position in this area. "We are the market and category leader, overseeing 700-plus communities, and that’s a big advantage for us," he explains. "We’re going to bring research, digital, and corporate reputation, because we believe in all of those aspects." Online video is at the forefront of new PR services and Edelman saw the potential impact of this close-up when it won the PR Grand Prix at Cannes last year for its work on The Scarecrow campaign for Chipotle in partnership with entertainment talent firm Creative Artists Agency (CAA). CAA produced the video and Edelman socialized and promoted the campaign, but Edelman wanted in on the whole scope of such work and subsequently linked up with Los Angeles marketing guru Jarrod Moses and United Talent Agency to form United Entertainment Group. The venture is a mash-up with Edelman’s existing entertainment arm Matter to establish a new group focused on entertainment, sports, and experiential, including video production. "We’re going to play differently to the big holding companies who integrate horizontally from the top down," says Edelman. "They have great assets, but ours is going to be bottom up and it’s going to be client-driven – it’s not what’s good for us, it’s what’s good for the client." Fleishman’s sister Omnicom PR shop Ketchum has also latched onto the opportunities of video to construct engaging narratives, with one particularly effective example handled through its sports and entertainment division for Gillette called Behind the Scenes aimed at exploiting buzz around the soccer World Cup in Brazil last year. It’s the type of work more usually associated with ad agencies, but can now be led just as effectively, if not more so, by PR firms. "Advertising is a more elaborate, expensive process," says Ketchum CEO Rob Flaherty. "A lot of the ad shops are moving to this too, in one way or another, but we have a leg up. We come from that journalistic, on-deadline world." He notes that PR firms are also culturally less likely to produce something that’s overly branded, due to their heritage in earned media. "Overly branded doesn’t play well online," he adds. "We’re more inclined to create content the viewer thinks is about them and is going to want to share with someone, because for years nothing we produced was going anywhere unless the gatekeeper – a journalist – said ‘my readers might be interested in that.’"
As Flaherty points out, ad agencies never had to get anyone interested in their content: It was going to run whether it was interesting or not, in a one-way broadcast format. 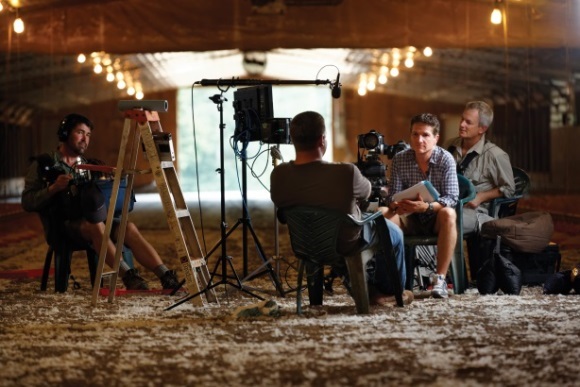 Another noteworthy example led by Ketchum is Farmland, a full-scale motion picture produced by Academy Award-winning director Jim Moll funded by the US Farmers & Ranchers Alliance, which tells the stories of modern-day farmers and ranchers across the country. "It’s a new moment for our business," says Flaherty. "If you’re sitting in the theater and the credits roll, it goes through the producer, executive producer, and director and the next credit is Ketchum, listing the four people from our team who worked as producers on the piece." The change in skill sets required at the "new PR agency" is changing the people who come into the business and inevitably resulting in legacy personnel leaving at the other end of the talent funnel. It is also evolving different workforce structures more suited to the new environment. "A lot of young people coming in are already well positioned," says Flaherty. "They’re digital natives, shoot a lot of video themselves, the smart ones have multi-platform content creation skills." He notes the mindboggling range of academic minors among Ketchum’s new generation of talent, including areas such as East Asian Studies, cinematography, and web design. "The minors tend to indicate the future," he adds. Many agencies have restructured their practice offerings and tried to inculcate collaboration across disciplines, geographies, and offices. Compensation structures are being amended to better reflect overall results at agencies, rather than being based on individual office P&Ls. Bonus pools are increasingly tied to individual objectives aligned with strategy and client goals rather than offices. "We pay a lot of attention to creating and nurturing a collaborative culture," says Weber’s Polansky. "If we have great creatives who happen to sit in Stockholm, Sao Paolo, or Beijing we tap those people on behalf of key clients, and that’s a recipe for making magic." To this end, Weber acquired Swedish hot shop Prime last year to supercharge creativity across the operation. "The win is not how a particular office may be doing in a particular quarter or year," says Polansky. "It’s about doing the best work for our clients and the overall company thriving as a result. That’s what sets apart successful firms in marketing, professional, and consulting businesses." Edelman has also introduced a more fluid mix of account relationship leads and specialists based on client needs rather than entrenched ways of working, without going as far as Golin and ripping up the well-established PR job title templates through which staff traditionally measure their career progress. "It’s more complicated than the classic hierarchy of account execs," says Richard Edelman. "It moved to multi-geography. Then there were practice specialists brought in. Then you had global client leaders. Then you have crafts – people who do creative, planning and so on." Ogilvy PR’s new global CEO Stuart Smith is also positioning his WPP agency as a place where clients can optimize creative ideas across earned media, social, and content. "We bring an insight into how social works and how to have conversations in real time with consumers," says Smith. "We’re not just coming from the brand narrative point of view, like advertising or direct marketing - we bring the daily zeitgeist to a brand conversation." For Smith, his offering is a duality: "We don’t want to be defined by the PR industry - we’re finding our own path to growth." In the Ogilvy structure, which is unique among major holding company firms, PR hires its own creatives and planners, but can also, for example, share 50% of a creative director for a region, along with one of its WPP partner agencies. "We look to our sister agencies first to see whether we can partner," explains Smith. "We’re partnering with Neo on paid social. They are experts – it makes sense to build bridges between us. We’re all reimagining how we do things: We’re the agency that brings friction-free integration and can put earned media into that mix." Skeptics about this new age of PR and subsequent delineation for PR agencies will always highlight the dreaded issue of measurement and how these new skill sets are producing return on investment for brands and clients. But the fact is that the payback and return on investment of content-based executions built from smart data can totally be monitored in real time, via measurement and social analytics. Effectiveness is measured on criteria such as the number of people who link to, share, view, or create their own content using the source material. And agencies now know how many blog posts content lands in, how influential those bloggers are, where it lands on Facebook, how many likes did it receives, and so on. "TV advertising got away with reach and frequency for years," notes Ketchum’s Flaherty. "But that just means it was sitting in your living room – it doesn’t mean you were paying attention to it. How many Nielsen points is a TV running on silent in the background getting?" Social metrics are much more powerful because they show someone is actively involved in the content and sharing it with their community. And now, as Flaherty points out, with the Internet of Things you can link these metrics to visits in-store and to purchases, which is the Holy Grail for every communicator and marketer – and also for the new age of PR firms servicing those clients’ needs. Real-time marketing is fueling a new range of skills, services, and ways of working at PR agencies. "CMOs and brand managers are very interested in it," says Ketchum CEO Rob Flaherty. "I wouldn’t use it as the umbrella term for our business, but it’s the hottest area of growth right now." He observes his agency executing campaigns and ongoing work increasingly operated along the lines of a journalistic newsroom, with early morning monitoring, 10:00am editorial meetings, art directors, copywriters, videographers, and newsjacking the order of the day. Clients have to be prepared to sign off in real time and are frequently in the room, sometimes with lawyers alongside them. The content is highlighted through paid amplification and then rebooted in the afternoon in time for a 4:00pm editorial meeting where the whole process starts again. Examples from the Ketchum client stable include brands as mundane as Cottonelle bathroom tissue. "We do funny memes for bathroom tissue," says Flaherty. "We get people talking about bathroom tissue by putting creative content behind it, making people laugh, and sharing it with their networks."